Our commitment to kids goes further with our fundraising partnership with QSP®. With over 45 years of experience, QSP® is the leader in youth fundraising and has raised over $525 million for Canadian youth. QSP® works with thousands of schools to bring great fundraising ideas, quality products, quality service and all the tools you need for a great fundraising drive. 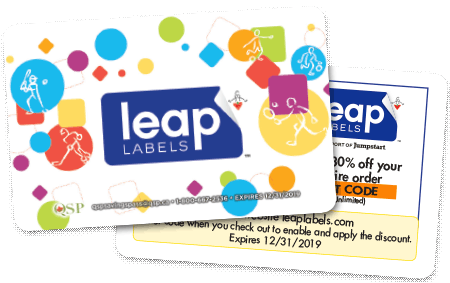 Together, we’ve created a unique fundraising opportunity to help schools raise funds with quality coupons to enjoy one year of savings on your Leap Labels purchases. Participating groups earn needed funds thanks to our partnership. Plus, every Leap Labels National Savings Card purchase also helps fund Jumpstart.